[TD]We need Complete Bug Reports. Important note: Only Volcano Module exe will not able to run. You have to Extract/Copy Volcano Module update files into Volcano YellowStone folder to able to Work fine !! Added New & World's 1st Algorithm for Repair MTK Imei. Improved Privacy Password/Anti Theft Unlock. [*=left]Adjust the Nokia 255 read information. [*=left]Adjust the Nokia 255 read flash. [*=left]Adjust the Nokia 255 write flash. Add MTK new cpu 8127 support. Add MTK new cpu 8135 support. Format MTK emmc flash,add new method. All Activations are Done & from now All users have to use this ver. Old ver is stopped from now !! Trial Activations Expires on 15 May. [TD=class: cms_table_alt2] We need Complete Bug Reports. Now server is more faster. Every user have to Register him self. user who already registered have to register again. [*=center]Added MTK Andriod Many new flash. [*=center]Add progress for the functions of "Extract Pictures, Videos and Applications". [*=center]Modify the method for "Extract Pictures". [*=center]Solve the problem for "Extract the files with a Non-English file name". [*=center]After all, Double check all, and click on Ok.
[*=center]keep in mind, the username you write, password will also same. 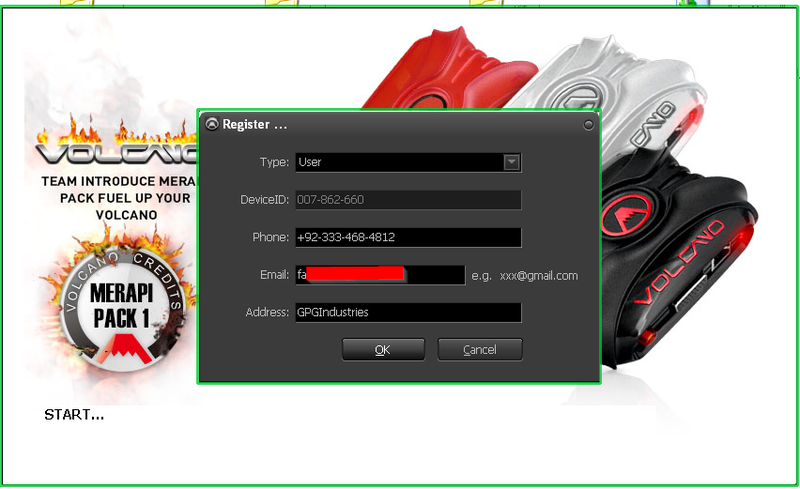 [*=center]All Winners Please Register your self and contact me by Pm. Samsung S4 [i9500] Recover By Merapi,Dead By Other Tool. you can also win. Simply post successful reports & help users on fourm and get REWARD from us !! Winners Please contact me on Skype: Faisal_Computer to get your Award !! [*=left]Add MTK6595 new flash id support. 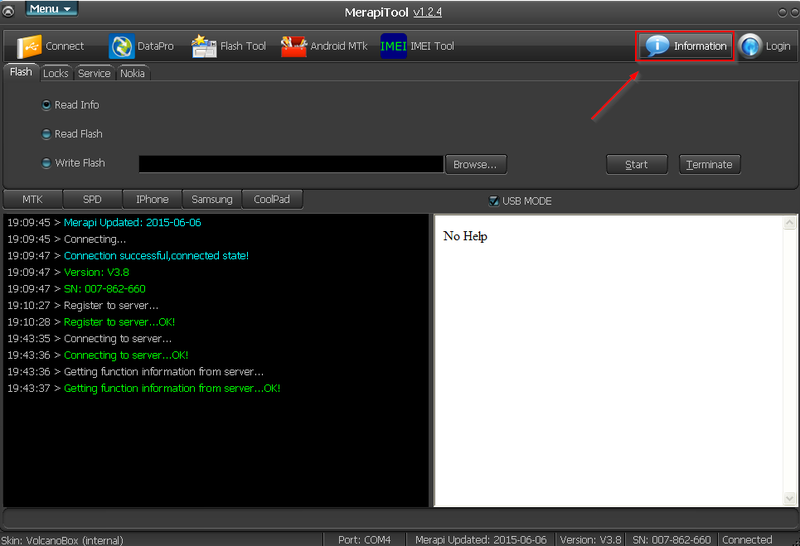 [*=left]Add MTK6752 new flash id support. [*=left]Add MTK8127 new flash id support. 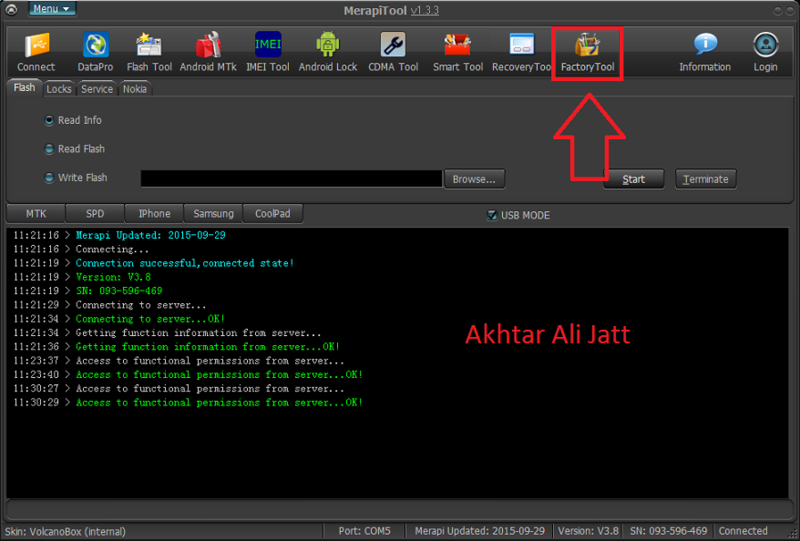 [*=left]Android ROOT(ADB) add new method .support new android version. 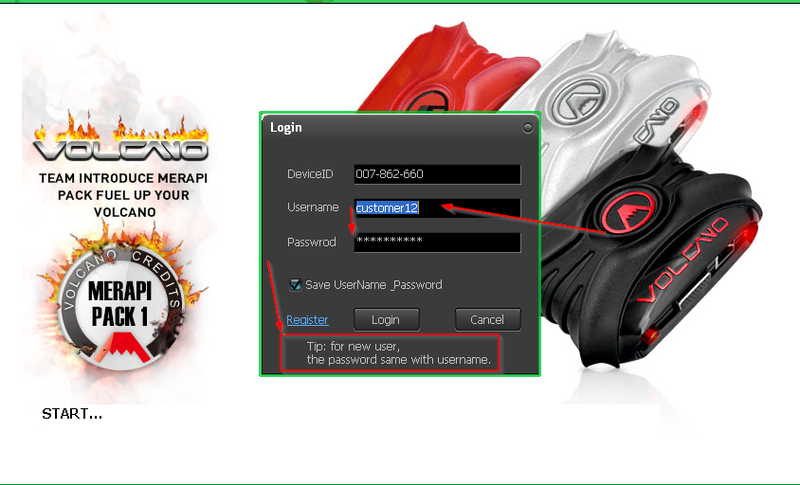 [*=left]Android Repair IMEI add new method. [*=left]Add MTK6571 write flash add new method. [*=left]Add MTK6582 write flash add new method. [*=left]Added This tool is to recover some ZTE Phones like C132, S183 and M131 with USB cable which sometimes come in blinking condition. [*=left]All FREE Activations are Stopped, Last Update i had Announced that more than 4000 Volcanobox was Gifted FREE "48 Hours" limited Activation. which is now Over. All Serials which we had active FREE or Those NON PREACTIVATED serials which was Working FREE All of them are CLOSED !! Only RED PreActivated Box & Purchased Activations are Working now. [*=left]Any problem regarding Serial Pleases contact me on Skype: Faisal_Computer . if you want to know, is your box PreActivated or not please contact me as well. [*=left]Please Do not Make any kind of thread Regarding Lack of Credits / i have credits now it's gone etc... All FREE Activations are Closed now. Users with PreActivated box and Purchased Credits and Winner from Updates are fine. Rest all we Closed. [*=left]Some users Said i had purchased Activation and now account is Nill. Please Ask your Reseller give me Prof of sending credits into your account. i will solve it asap.
! Ahead of All ! [*=left]MT8127、MT8135、MT6752 add new flash support. [*=left]to solve the MTK Andrews +EMMC ,reset Pattern lock, PIN lock, Password lock. [*=left]Add new phone for ADB Root. this is for all users who have Vitool and Volcano both . To solve the MTK Andorid +EMMC ,reset Pattern lock, PIN lock, Password lock. 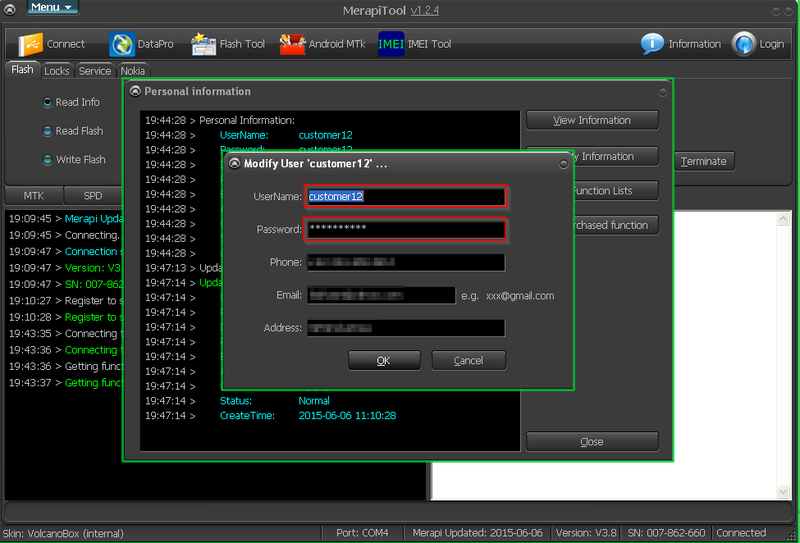 Merapi Tool 1.3.0 Beta Test Report !! Start Now MTK 6572 NAND Fully Supported !! 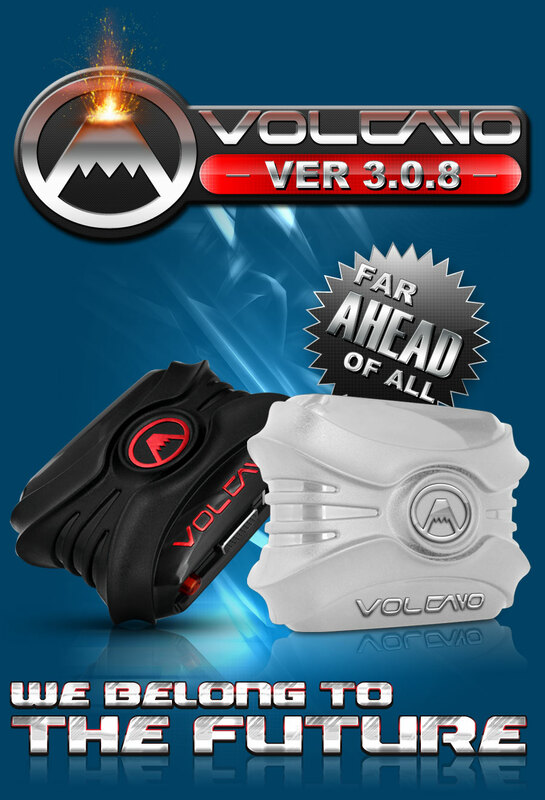 VolcanoBox ver 3.0.7 MTK Android Read Pattern Lock & Much more !! Added MTK Android read information Extended to read Pattern lock of MTK eMMC Phones. Added Support for MTK Android write flash more than 4G. Solved the reading information BUG. Soon i will upload video too. Many unsupported phones are supported NOW !! or Select any Already Readed Flash file which is in Bin format in "Split Flash File"
Software will make Factory file for you !! 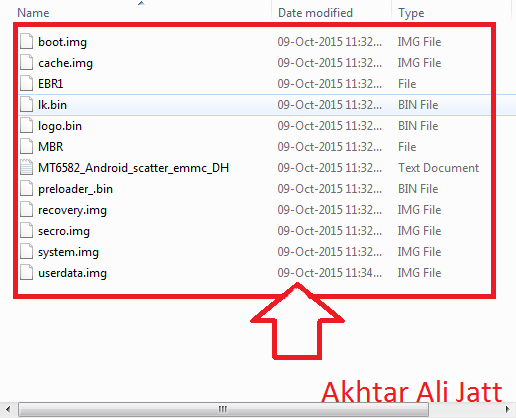 this is useful to take backup of phone in Adb Mood !! Improved MTK Android Format Some Bugs Which comes more than 8Gb . Lot of phones can be repair by this way !! [*=left]Lot of New Firmwares are uplaoded !! LETS HAVE A TRY AND FEEL THE DIFFERENCE !! SPD ALL NEW CPUS & MANY OTHER HOT SOLUTIONS ARE COMING IN NEXT UPDATS SO FASTEN YOUR SEAT BELTS !! This is Update you have to Extract into MerapiTool V1.3.2 Folder !! Make sure your ANTIVIRUS is Closed !! 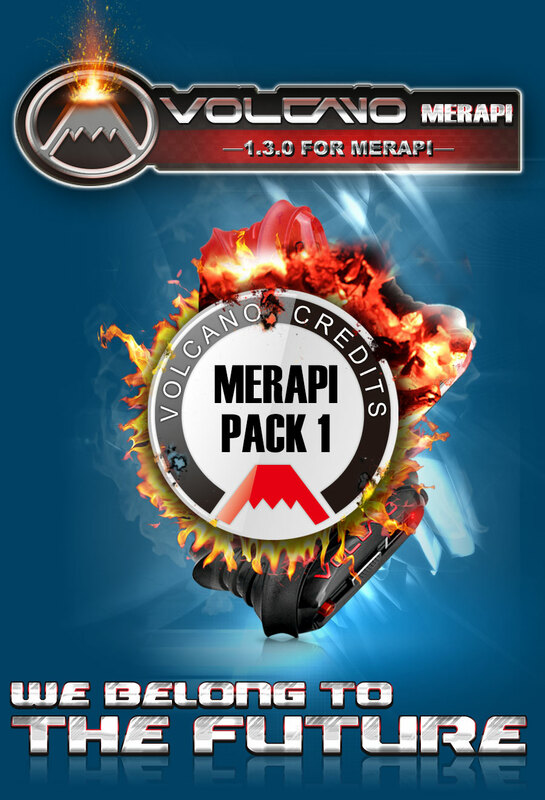 VolcanoBox MerapiTool V1.3.4 Added MTK6580 & Virus Remove Improved & Lot of Samsung ! [*]Lot of New Firmwares are uplaoded ! !